The term “metabolism” has been a hot topic for a long time. 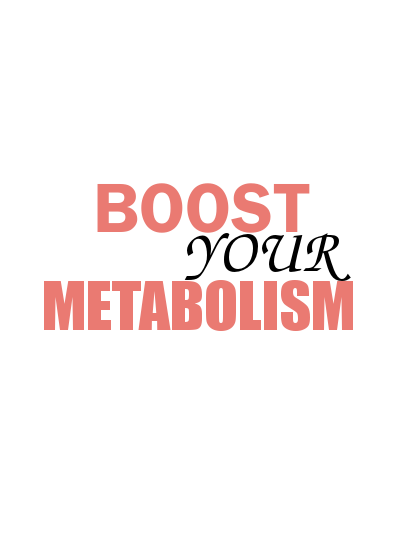 Some people want to make their metabolism faster and more powerful “I want to boost my metabolism”, however only few people really know what does metabolism mean. On the other hand, you may hear a hundred answers if you ask for the definitions. Let’s take a look at the classical textbook definition “Metabolism is the sum total of all chemical reactions in the body”. Simply, metabolism is the balance in the body between the reactions that store, repair or build things up “Anabolism” and the reactions that breaks things down “Catabolism” usually for energy needs. Yet, metabolism doesn’t occur in the body alone. It happens equally in the body, mind and emotions. In brief metabolism is the reactions which took place inside the body plus the sum total of all thoughts, feelings and beliefs. One of the most common symptoms that may occur when you are suffering from a slow metabolism is weight gain. Some people get an extra unexplained weight even though they practice sport daily but their bodies still store more and more fats. Storing belly fat: If you are storing belly around your belly this is an obvious sign of a sluggish metabolism. Fat storage around your midsection is mostly linked to cortisol over production. Cortisol is known as a fat storing hormone, whenever it is released it pushes you body to store fats. Slow metabolism shares responsibility concerning hair loss, cracked skin and heels, hormone dysfunction and you may find difficulties to sleep or experience tire, fatigue and depression. It is also the cause of stress, muscle aches and pain. No morning hunger: After 7 to 9 hours of sleep, people who enjoy a strong metabolism are supposed to be starving when they wake up. Yet, if you didn’t want to eat until lunch time then your metabolism is too slow. No hunger within 4 hours: You shouldn’t go longer than 4 hours without eating, if not you must be aware of your metabolism weakness. Practice patience: Patience is the key, don’t be in a hurry to lose weight overnight through a crash diet and ruin your metabolism. When you put your body into a starvation mode, it will lower your metabolism which means burn less calories and store more fats. As a result, you gain thee pounds you dropped again, go into a crash diet again and the cycle continues. If you want to fix your metabolism, you have to pay attention to the calories you are consuming. control you calories, for example for women it is recommended from 1200 to 1400 calories and for men 1600 calories per day. Eat the right type of foods and follow a specific diet; you have to maintain a good diet that contains high amounts of protein, fiber and healthy fat. Aside from consuming healthy food, you have to reduce your stress level and enjoy a good and sleep every night to help your hormones working for you because emotional stress and lack of sleep run down your metabolism and damage your body. Take 10 to 30 minutes every morning reading devotional texts or anything that might inspire you or calm you down rather than watching T.V. CarolinaIvey Blog. Simple theme. Powered by Blogger.